I'm very happy to announce that I am now represented by Jewel Branding & Licensing exclusively in North America and Korea. I am so excited to be listed among their amazing designers and brands and can't wait to work with these brilliant agents! 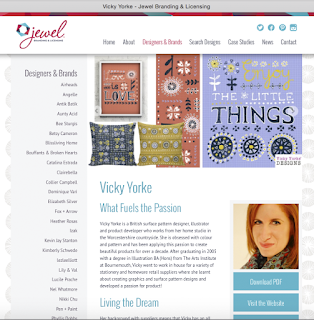 To find out more about Vicky Yorke Designs you can download my brand sheet here.